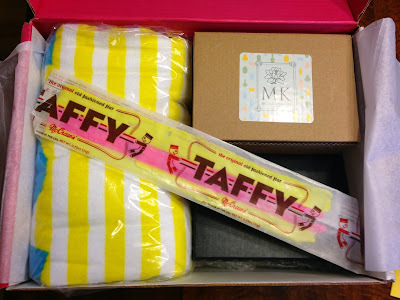 My May Popsugar Must Have box arrived yesterday. It seemed like it took forever for this box to ship and get to me this month, but it might have just felt that way because I was so excited to see what was in it. Popsugar had released a spoiler awhile back of a necklace that would be included and I was so excited about it! 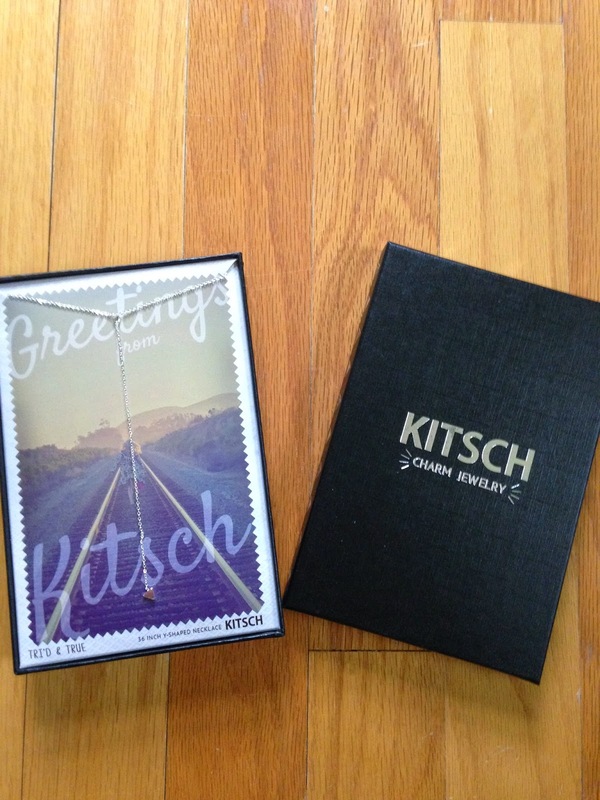 They really have been doing a great job curating their monthly boxes lately! And here is a peek when I tore open the tissue paper. Popsugar always includes an information card describing what is in the box. It also includes the inspiration for the month. 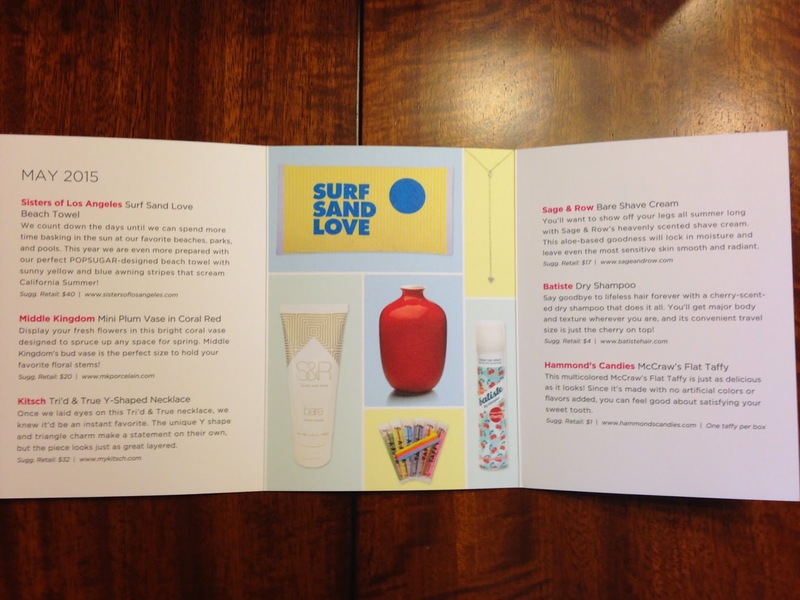 This month's box was inspired by glowing skin, mother's day, fresh flowers, beach bum, colorful, and California sun. Sounds like a beachy box to me, which is exactly the vibe I got from the first look! 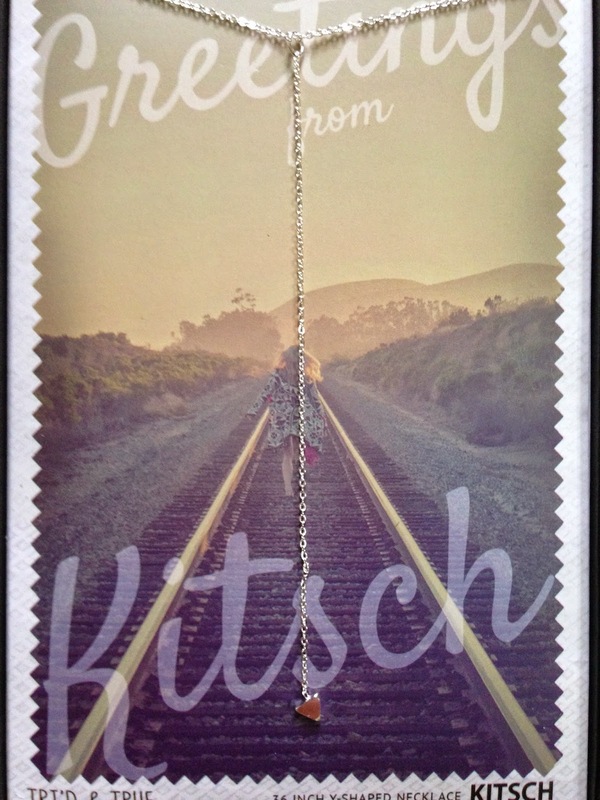 The item Popsugar released as a spoiler was the Tri'd & True Y-Shaped Necklace by Kitsch. I love this delicate necklace and I'm so happy Popsugar has been including more silver items in the boxes as that's what I prefer. I will definitely wear this. I knew it'd be a good box when they released this spoiler! 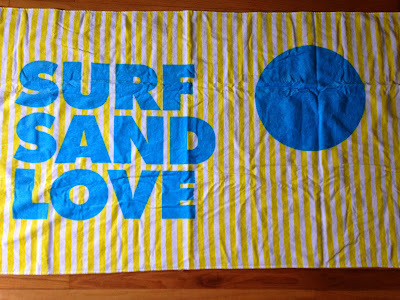 The item that took up most of the box was a Surf Sand Love Beach Towel by Sisters of Los Angeles. This item retails for $40 and though I wouldn't pay that for it, I do love the bright color of it! It was designed for Popsugar, which I also love. 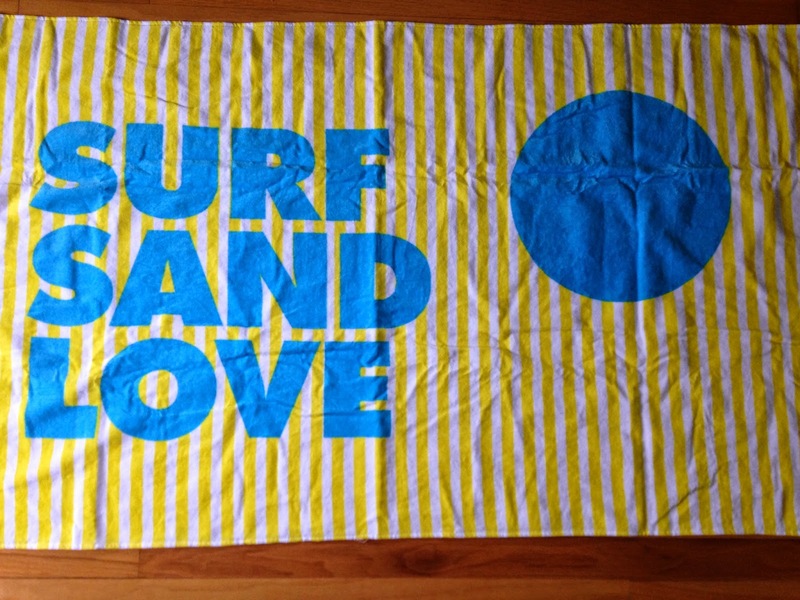 I prefer thick, soft towels for the beach and this one is rather thin, but I'll still use it. It is very large, which is nice! 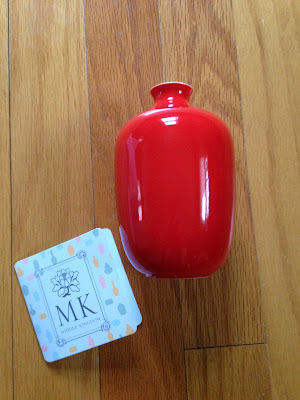 My favorite item in the box was the Mini Plum Vase in Coral Red by Middle Kingdom. This is the cutest bright red vase. I love it! Now if only I could find a flower that I could keep alive. 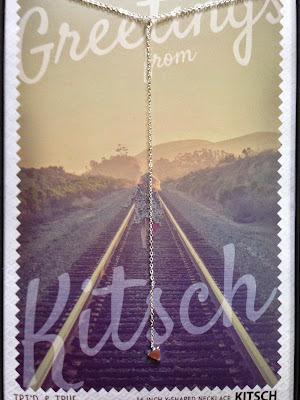 I may need an artificial alternative, so this always looks chic sitting on a shelf! Also included in the box was Bare Shave Cream by Sage & Row. This is a useful and practical item for the summer months. 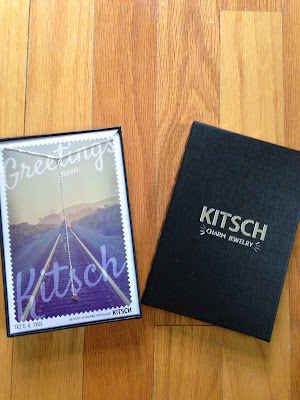 I like receiving non make-up items, so this was a nice addition to the box, in my opinion. And it smells great! 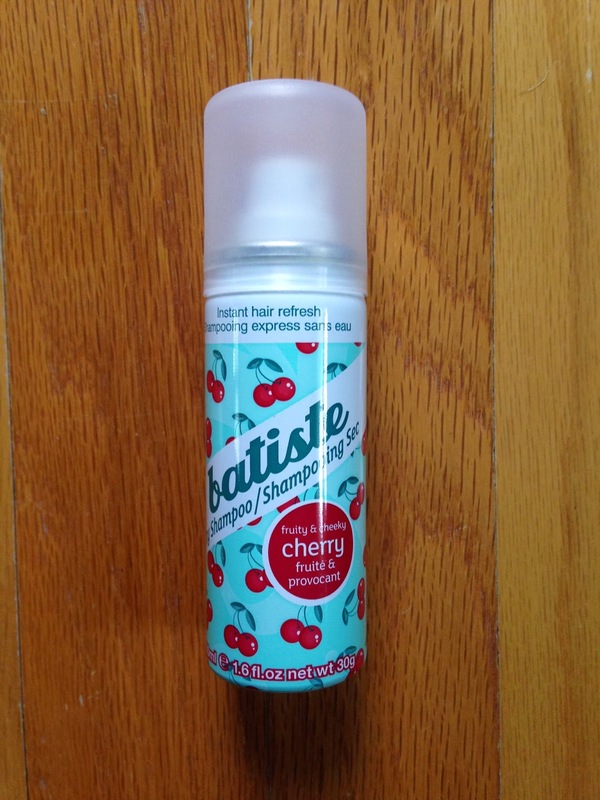 I'm excited to try the Dry Shampoo by Bastiste mainly because it's cherry scented. 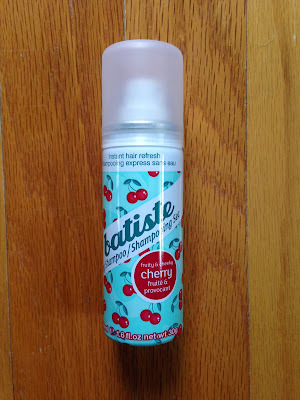 I love the cute packaging and the convenient travel size! 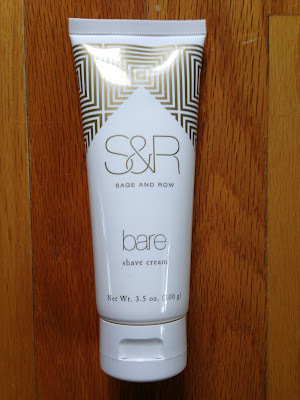 It says it will give hair major body and texture and I hope that's true, because my hair could use it. The final item included was McCraw's Flat Taffy by Hammond's Candies. 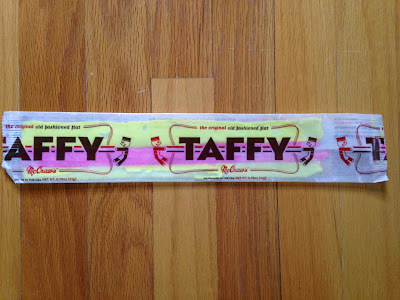 I remember eating this type of candy as a kid and it was always yummy! I'm always excited to see the snack included in the Popsugar box, because it is usually one of my favorite items. I'll be sharing this with my daughter! I felt the May Popsugar Must Have box was perfectly curated for this time of year. I loved everything and will use it all. I'm happy with the variety of items that are chosen for the Popsugar boxes. It's one of the reasons I can't quit this box. I would be scared to see what I might be missing out on.